The Court was hearing appeals challenging an order passed in April, 2014, by the High Courts of Assam, Nagaland, Mizoram and Arunachal Pradesh at Guwahati, whereby the conviction of one Mr. Haren Mudoi under Section 138 of Negotiable Instruments Act was set aside. The factual matrix of the case at hand involved the dishonor of five post dated cheques issued in the name of the appellant, Mr. Don Ayengia by Mr. Nazimul Islam. 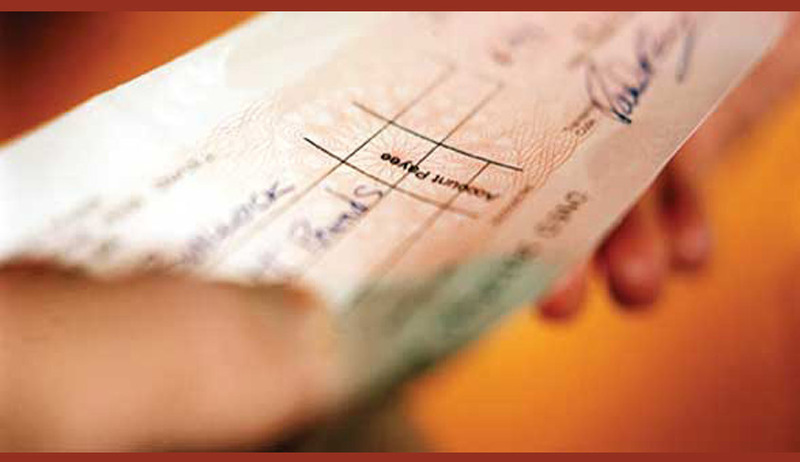 As per the Promissory note, the cheques were issued as a security and were to be returned when complete payment of Rs. 10, 00,000 was made by Mr. Islam within a period of one month. The cheques were presented for payment after the expiry of the period of one month stipulated for the return of the amount. All the cheques were, however, dishonored by the bank on the ground of insufficiency of funds. A second presentation also proved abortive for the same reason. At this stage, Mr. Mudoi appeared on the scene and indemnified Mr. Ayengia by acknowledging that the cheques in question were actually issued by him and handed over to Nazimul Islam. This acknowledgment was reflected in the form of an endorsement on the Promissory Note, in which he agreed to the cheques being presented for payment after 25th September, 2007. Accordingly, the cheques were presented for clearing again. However, the same was dishonored by the bank for the third time. This led to the issue of a statutory notice by Mr. Ayengia, to which a reply was sent by Mr. Mudoi, denying that he had any knowledge of handing over of all the cheques to Mr. Ayengia by Mr. Islam. He also denied knowledge of the dishonor of the cheques. In the same reply, Mr. Mudoi undertook to pay the whole amount of Rs.10, 00,000/- by the second week of January, 2008 by issuing fresh cheques. In this background, a complaint under Section 138 of the Negotiable Instruments act was filed by Mr. Ayengia. Since, in the meantime, Mr. Islam had passed away, the proceedings against him abated. However, the lower Court convicted Mr. Mudoi for the offence punishable under Section 138 of the Negotiable Instruments Act, 1881 and sentenced him to undergo simple imprisonment for a period of one year. In addition, compensation of Rs. 12, 00,000 was awarded to Mr. Ayengia. The conviction was upheld by the Additional Sessions Judge, but the sentence was reduced to payment of a fine of Rs.2,000/- and, a default sentence of imprisonment for a period of one month, in addition to the amount of compensation awarded by the trial court. The conviction was however set aside by the High Court. Hearing the challenge to this order, the Apex Court noted that the execution of the Promissory Note and the endorsement made by Mr. Mudoi had been satisfactorily proven at the trial. The only question that survived was whether the cheques issued were meant to discharge in whole or part, “any debt or other liability” within the meaning of Section 138. It further noted that the endorsement made by Mr. Mudoi on the promissory note that the cheques can be presented for encashment after 25-09-2007 clearly showed that the cheques issued by him were not ornamental but were meant to be presented if the amount in question was not paid within the extended period.